All GRAYHAWK PARCEL 3K (B) RE homes currently listed for sale in Scottsdale as of 04/23/2019 are shown below. You can change the search criteria at any time by pressing the 'Change Search' button below. 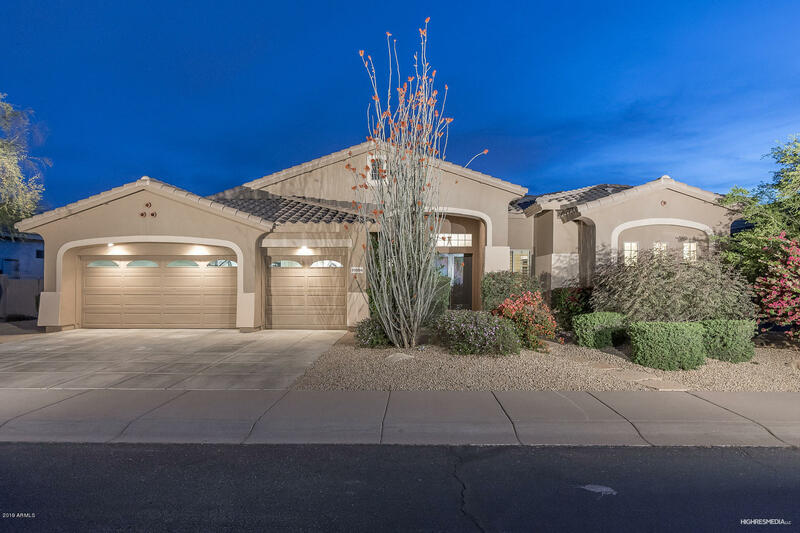 "Stunning remodeled home overlooking the 14th & 15th fairways of the Talon course at Grayhawk. Seller took this one down to the drywall and this home features new modern white cabinets, quartz counters, custom light fixtures, wide plank hardwood floors, custom bar, sliding pocket doors, numerous feature walls, the list goes on and on. 3 new AC units, new roof, new paint inside and out, awesome split floor plan w, 4 beds and 3 baths in main house and detached casita w/its own wet bar featuring sin"
"Major Price Reduction!! $40,000 to $1,095,000. 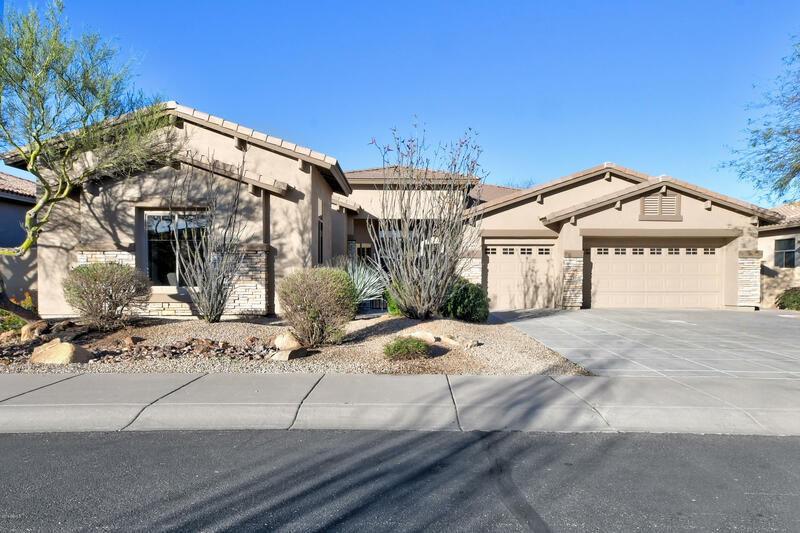 Desirable single level home on the 13th green of Grayhawk's Talon golf course with panoramic views of the McDowell Mountains and Pinnacle Peak. Great family home with 5 bedrooms, 4 baths including casita. Chef's kitchen with granite slab counter tops, SS appliances adjoining the family room with gas fireplace overlooking the backyard. Gracious master suite and bath with sitting area. Resort style back yard with heated pool and spa, paver stone surfa"
"Tastefully Updated Semi Custom Home In Popular Grayhawk Talon Retreat Features An Expansive Split Floorplan With 4 Bedrooms, Office/Den, 3.5 Bathrooms, Gorgeous Kitchen With Refinished Cabinets, Quartz Counter Tops, HUGE Breakfast Bar, Walk In Pantry, 5 Burner Gas Cook Top, Stainless Steel Appliances, Attractive Dining Nook and Oversized Family Room With Modern Media Wall & Cabinets.The Master Suite Offers Gorgeous Wood Flooring, Adjacent Sitting Room/Office, His/Her Walk In Closets, Soaking Tub"